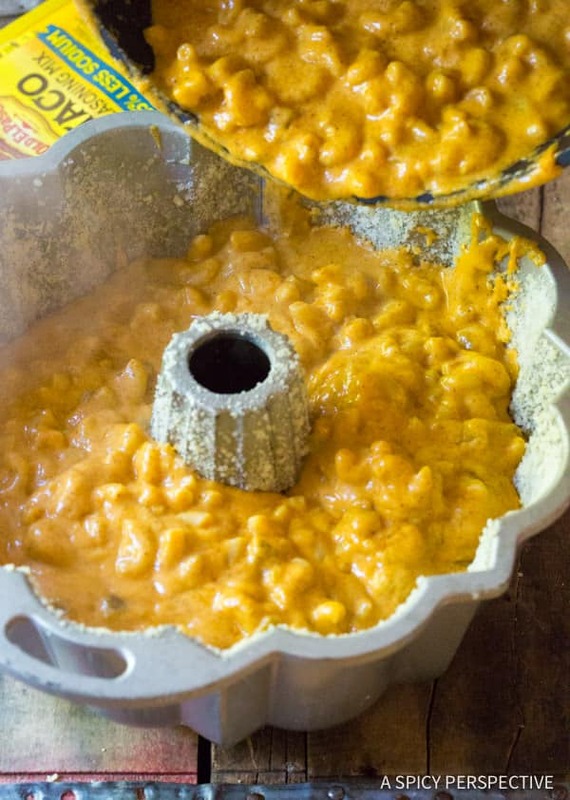 Our zesty Taco Mac and Cheese Bundt recipe is perfect for fall parties. Easy to carry and easy to love!! You never can have too many macaroni and cheese recipes, in my opinion. 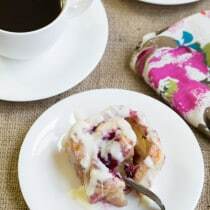 Come to think of it, you never can have too many bundt pan recipes either. 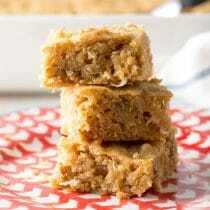 That’s why today I thought it would be fun to share a recipe that combines both! You can bake mac and cheese in any old pan. Why not choose one that makes an impact? 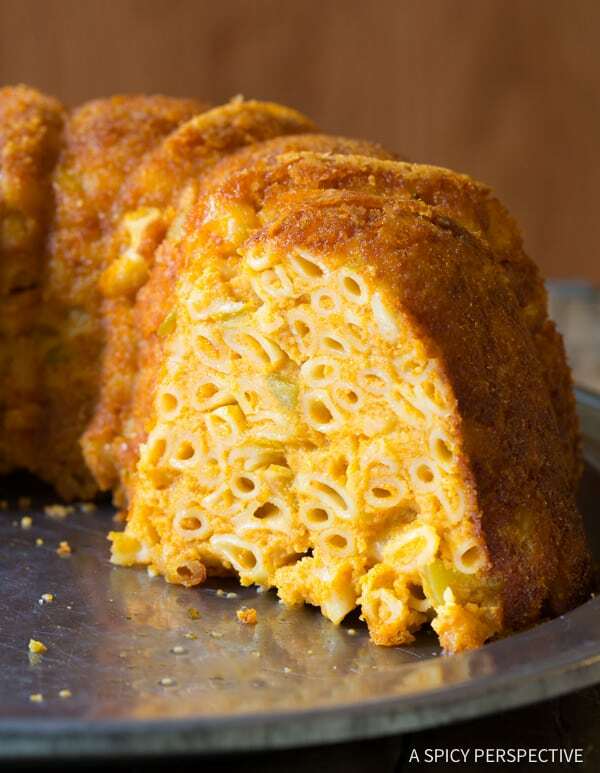 This Taco Mac and Cheese Bundt is a true joy to all who partake. 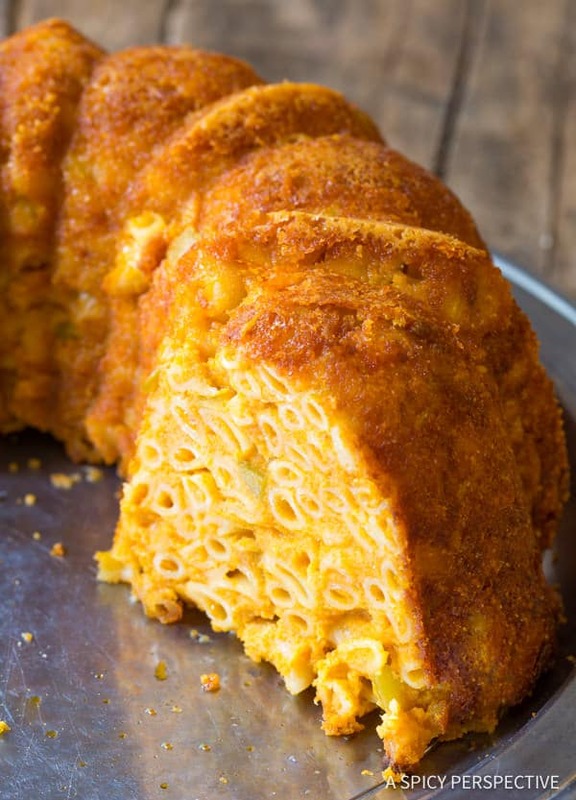 What is it exactly that makes this Taco Mac and Cheese Bundt so special? 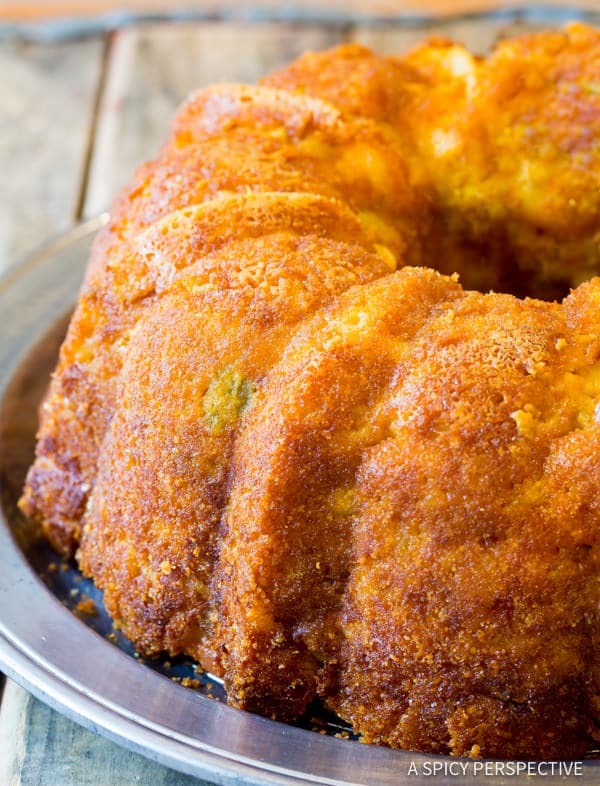 Of course, you could make this bundt without the spices and green chiles. 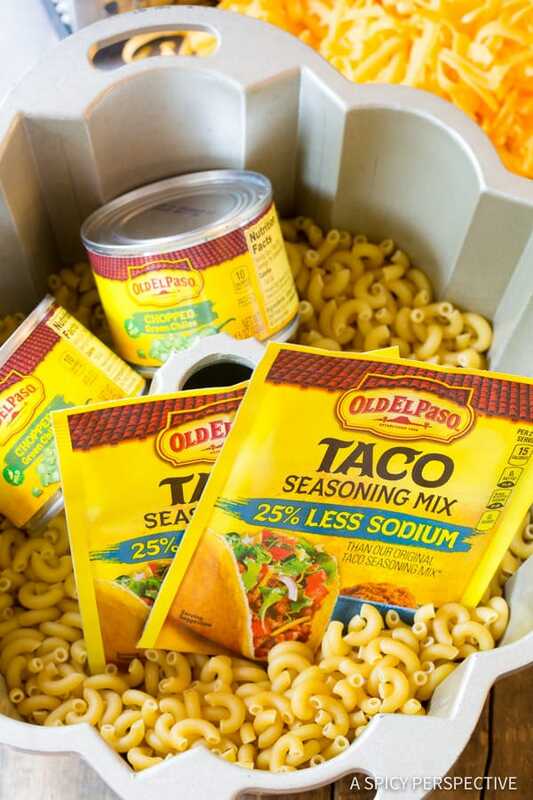 But everything is better taco-fied, and mac and cheese is no exception! 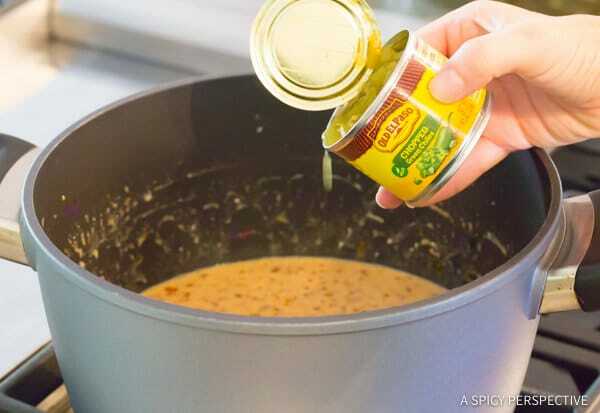 The Old El Paso Taco Seasoning and smoky green chiles add that punch of flavor that takes this recipe over the top! 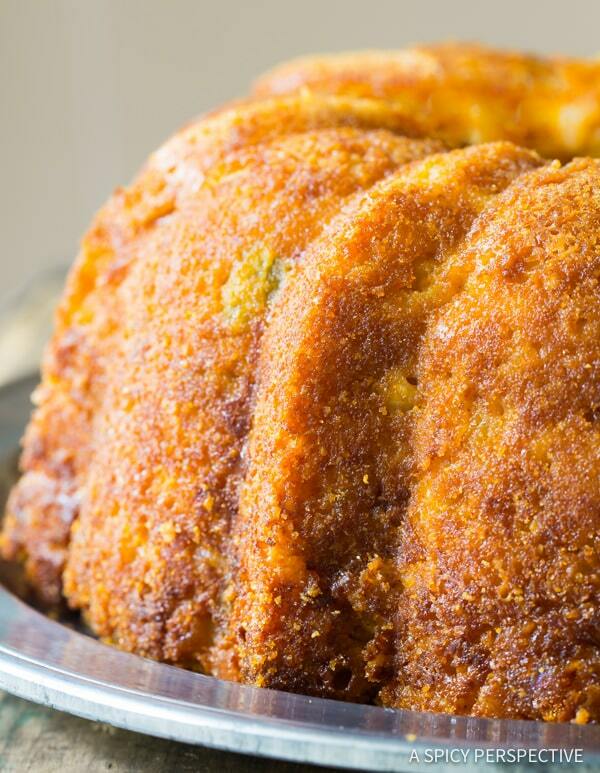 Our Taco Mac and Cheese Bundt recipe is a must-make for holiday gatherings. 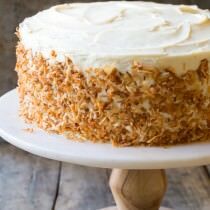 Simply grease a nonstick bundt pan and coat the inside with a mixture of breadcrumbs and parmesan cheese. This gives the exterior a crispy brown crust. Then boil macaroni noodles and make a quick and zesty cheese sauce. Add eggs to the cheese sauce to help hold the mac and cheese together in the bundt pan. Then mix the pasta and sauce together with some breadcrumbs and dump it in the pan. Once baked, you’ve got an out of the ordinary bundt to take to parties, church potlucks, or to surprise your family any night of the week. If you’re looking for a show-stopping dish for your next gathering, Taco Mac and Cheese Bundt is a sure win! Taco Mac and Cheese Bundt Recipe - A simple Baked Macaroni and Cheese recipe with zesty Mexican flavor! Easy to make and serve. Great for potlucks! 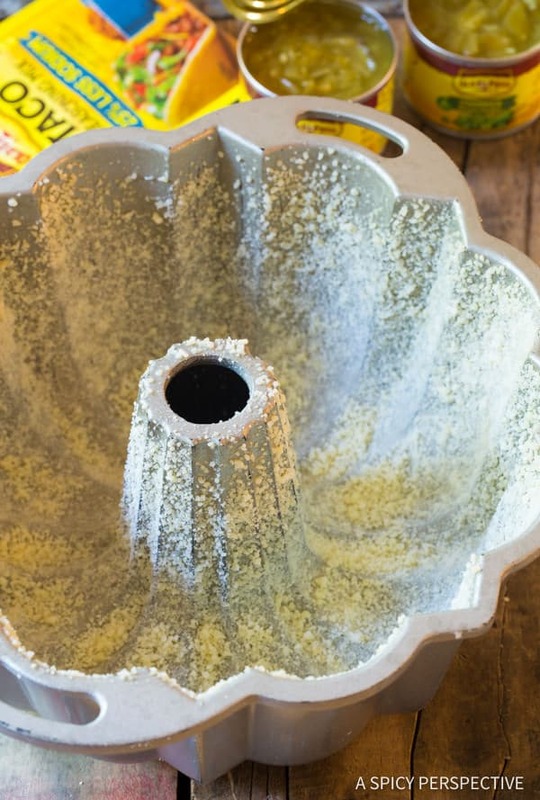 Preheat the oven to 400 degrees F. Grease a nonstick 10-15 cup bundt pan with butter or nonstick cooking spray. 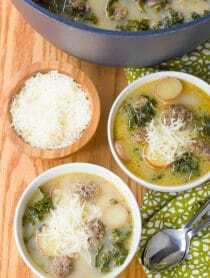 Mix 1/4 cup breadcrumbs and 1/2 cup parmesan cheese together. Pour it in the bundt pan and shake the pan around until all sides are coated with the mixture. 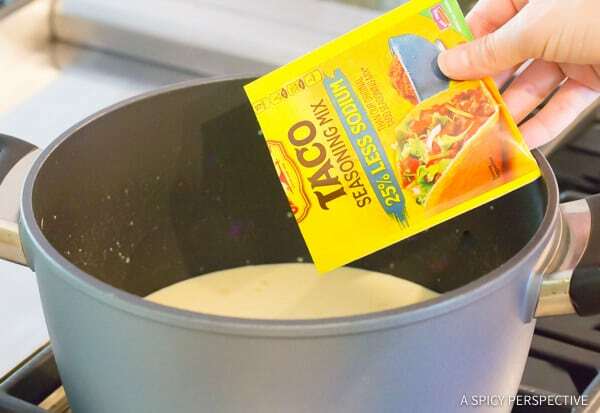 Place a large pot of water over high heat and bring to a boil. When the water starts boiling, stir in the pasta and boil until almost cooked through, but still firm. About 5 minutes. Meanwhile, place the butter in another pot over medium heat. Once the butter starts melting, whisk in the flour. Then whisk fast while pouring in the milk to break up the flour clumps. Break the eggs into a bowl and beat. Then whisk fast again to incorporate the eggs into the milk mixture without scrambling them. Stir in the Old El Paso Taco Seasoning and green chiles. Then add the cheese and stir until melted into the mixture. Once the pasta is nearly cooked, drain the pasta and add it to the cheese sauce. Add the remaining 3/4 cup breadcrumbs and stir to thoroughly coat the pasta. Pour/scoop the mac and cheese into the prepared bundt pan. 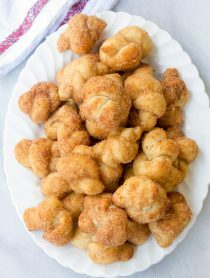 Bake for 30-40 minutes until crisp around the edges and bubbly. Cool for 15 minutes in the pan. Then run a long thin spatula around the edges and down the sides. Flip the bundt out onto a serving platter. Serve warm or at room temperature. NOTE: It's very important to use a nonstick pan and grease it well. You don't want your mac and cheese loaf to break when you flip it out of the pan! 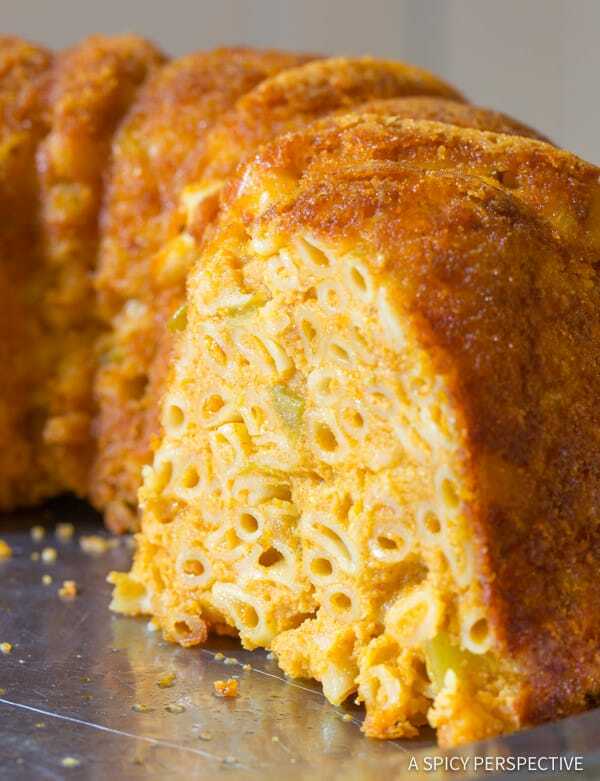 Can this be prepared up to the point of placing the mac and cheese in bundt pan and not baking it until later on? Love the sound of serving mac n cheese like this! WHAT?! This is like every childhood food fantasy come true! what do think about adding well drained cooked ground beef? Or other add ins? Its great I just made it!! Did you try it with the beef addd in? I had wondered the same thing. OMG – I have no words. I don’t just want this, I NEED it!! How unique and incredible! Bet my family would love this! WOWeee! 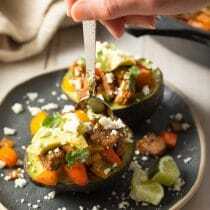 So much to love about this recipe! My eaters will think they’re having dessert for dinner until I cut into it! How fun! Not to mention the taco-fied flavor. YUM! My boys would devour this! LOVE this, such a genius idea for a bundt cake!! This is too fun!!! Love! this. is. INSANE!!!!!! 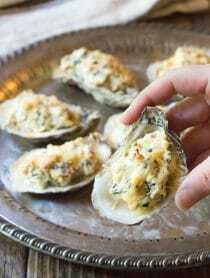 absolutely love, love, love this recipe!! Oh. My. Word! Just when you think you’ve seen it all. This looks ah-ma-zing! With the emphasis on ZING! Can’t wait to try it! Yes ! You have solved my today’s problem ! Yes! Thank you !